Rufest 2017 - Farm based mini festival for friends in Milton Keynes. Rufest is a farm based mini festival hosted by Rufus for friends (& friends of friends) that enjoy alcohol, music and making a racket. Rufest will be in Milton Keynes. Exact location can be obtained from Rufus himself or the facebook event page. Rufest 2 will be held on the 22nd July 2017 from 2pm until late… bring a tent, plenty of alcohol and enthusiasm. The jokingly named (I promise) Rufest was conceived on the basis that the words we'll do something soon / over summer means nothing until something is organised. It's a time to see lots of old faces and mush loads of social groups together. 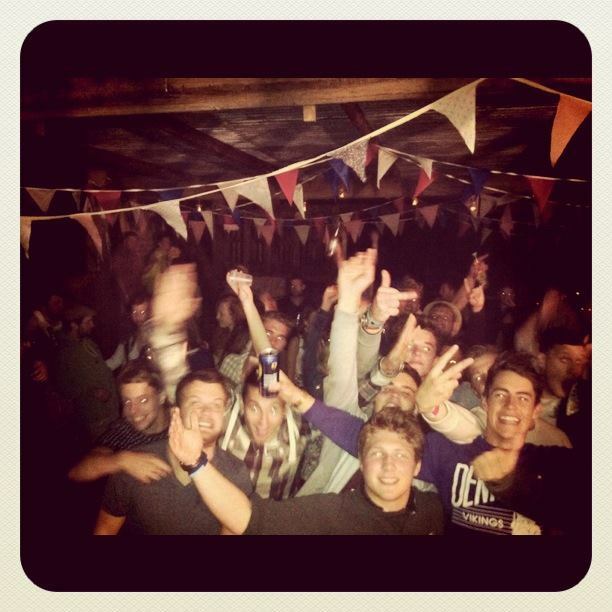 Following on from our debauchery in 2012, Rufest is tiny 1 day festival starting on Saturday the 22nd July 2017 at 2pm and finishing the following day in a field and barn in Milton Keynes… Expect games, familiar faces and a loud music to take us into the early hours. If you're feeling generous you can donate £10. Which will be used to pay for a few kegs of beer, some food, a substantial generator and some portaloos. Sounds necessary right?! Rufest © designed and coded by @rufusdenne. Sponsored by V & Sons.